Man! I feel AHHHHHMAZIMG RIGHT NOW! Just finished teaching 2 art classes at one of our new locations and the class almost sold out for the 2nd class! There were so many kids!!! I feel so bless and full of gratitude right now! Cloud nine! Thank you to all of my fellow young artists who decided to start this beautiful Saturday with a CREATIVE ENERGY! 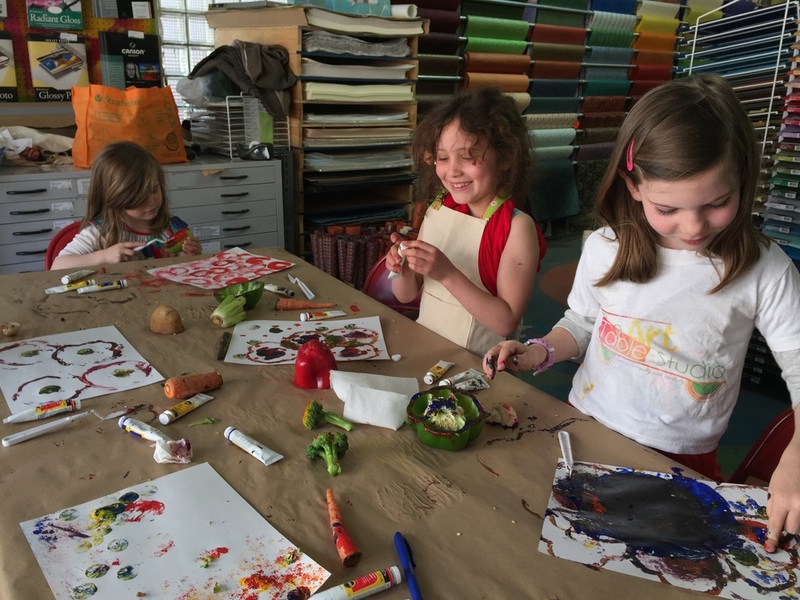 And thank you to the Mommies and Dads for supporting www.TheArtTableStudio.com and Artist & Craftsman Supply in Long Island City!!! http://www.artistcraftsman.com/store-locations-lic-new-york, for letting The Art Table Studio use their beautiful most creative space!!!! We ❤️ them lots!!!! Don't forget we will be there tomorrow morning to make homemade paper!!!! Safir & Mommy! We ❤️ all of the beautiful colors that were made with his primaries!!! Studio usie with Shama & Mommy! 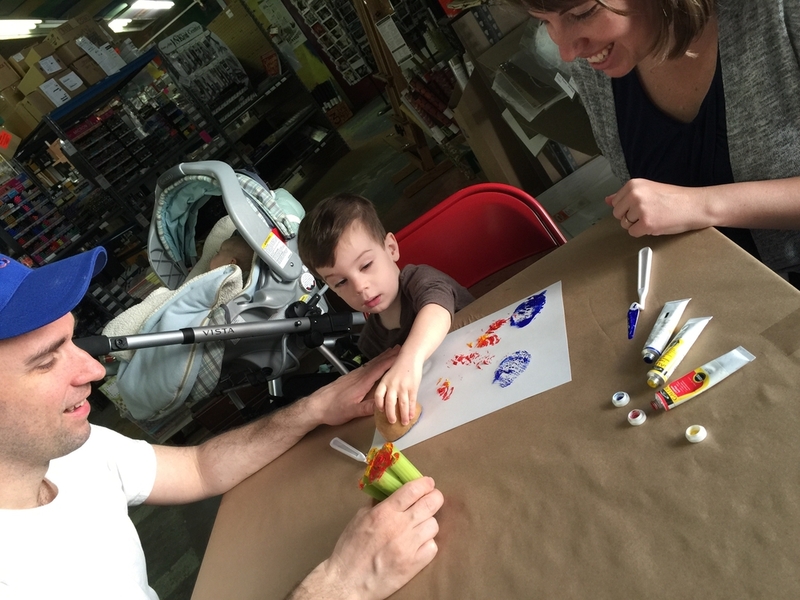 James & his Mommy & Daddy applying "primary yellow" to his Apple for his veggie print! All hands on deck here! We super ❤️ this!!! Super focused Zoe, Monica & Ciara! It's all about the journey! Right Zoe? Jack showing his Mommy and Daddy how you're really suppose to use a potato! LOL!